Even though drugs were used to enhance performance and increase endurance in soldiers, they took a physical and psychological toll on the users. 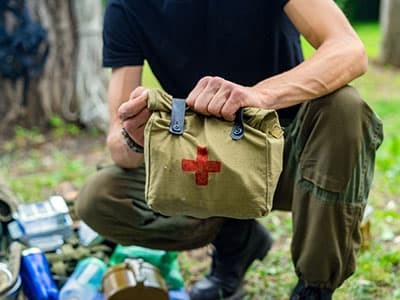 Government agencies, addiction specialists, and other mental health support professionals should take necessary action to address drug use in warfare and provide post-deployment support for military personnel when they return home. Military History Now. (2018). Combat High – A Sobering History of Drug Use in Wartime. McElroy, W. (2014). U.S. Government Guilty of Creating Heroin Addicts. The Daily Bell. History.com (2017). History of Heroin, Morphine, and Opiates. Golub, A. & Bennett, A. (2013). Introduction to the Special Issue: Drugs, Wars, Military Personnel, and Veterans. Substance Use and Misuse, 48(10). Flascha, C. (2011). Wartime Drugs. Prospect Journal. North American Spine. Pain Management in History: Morphine and the Civil War. McCarthy, B. (2016). A brief history of war and drugs: From Vikings to Nazis . Al Jazeera. Hurst, F. (2013). WWII Drug: The German Granddaddy of Crystal Meth. Der Spiegel. Ito, M. (2014). Dealing with addiction: Japan’s Drug Problem. Japan Times. Kamienski, L. (2016). Shooting Up: A Short History of Drugs and War. Oxford University Press. Kamienski, L. (2016). The Drugs that Built a Super Soldier. The Atlantic. Stanton, MD. (1976). Drugs, Vietnam, and the Vietnam Veteran: an overview. American Journal of Drug and Alcohol Abuse, 3(4), 557-70. Petersen, M. (2009). U.S. Military: Heavily armed and medicated. NBC News.